If you saw yesterday's post you got a glimpse into the first part of my trip to Hawaii with my great friend Katie. 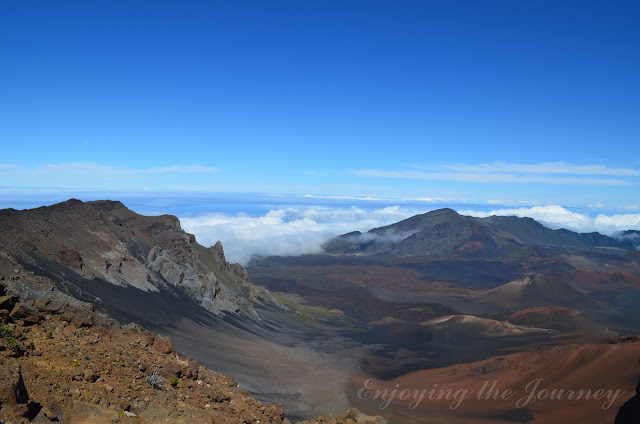 Today I want to share the rest of my trip with you and our time on Maui. When we planned this trip our intentions were to see the sights and be tourist on Oahu and be beach bums on Maui. I might be a little biased, but I do think we achieved our goal!! We stayed at an amazing resort on Maui and literally could have never left the property. Not only was the resort on a gorgeous beach, we stayed in an amazing cottage, there were amazing restaurants there and one of the best luau's was there too! On our first night on Maui we went to the Luau and had a great time meeting new people, watching the sun set on the beach, eating roasted pig, and getting to watch the amazing show! If you know much about Maui you know the road to Hana is a must! Katie and I headed out bright and early in our Jeep Liberty and can now say we survived the Road to Hana. There are over 600 curves and 56 bridges along the way and the most beautiful waterfalls around every turn. This was certainly an adventure and it was the true definition that "Life is not about the destination, it's about Enjoying the Journey!" We took it easy our last full day in Hawaii. There was some much deserved sleeping in and sun bathing that went on!! On the left is me after snorkeling at Black Rock Beach. Not only did I teach Katie to snorkle that day, but we saw three huge sea turtles- definite highlight!! Like my new suit? We also met with one of my sorority sisters, Amanda, and got some great local coffee and sister time in! And of course we found some time for shopping! This was our last day on the island, but we didn't fly out until that night so we took advantage of our time. We packed up and sadly said goodbye to our resort then headed to the Iao Valley(picture of me above). From there we decided to get adventurous and head up Haleakala. To say we were above the clouds would be an understatement. It was absolutely breath taking!! Our week in Hawaii was one of the best weeks I have had in a long time! Not only did I not want to leave, but I am already ready to go back. Anybody want to join me for round two? This trip was such a blessing and I had no idea how much I needed the break until we were there! Where to next... Any suggestions? Wow, marvelous blog layout! How long have you ever been running a blog for? you make running a blog look easy. The whole look of your website is great, well the content material!